Alright guys, last week we discussed the beginning of the gymnastics movement, in which people began to realize that exercising on purpose might be good for you. We learned that the nascent fitness movement was born of the nationalism that sprang up in many European countries in the 19th century, as budding patriots believed that exercise would help produce strong citizens who would be good at fighting Napoleon. The current nationalist movements sweeping the U.S. and Europe could probably use a little bit more of that attitude – fitness, I mean, not fighting Napoleon – but we probably don’t need to be making white supremacists healthier. But, anyway, I digress. 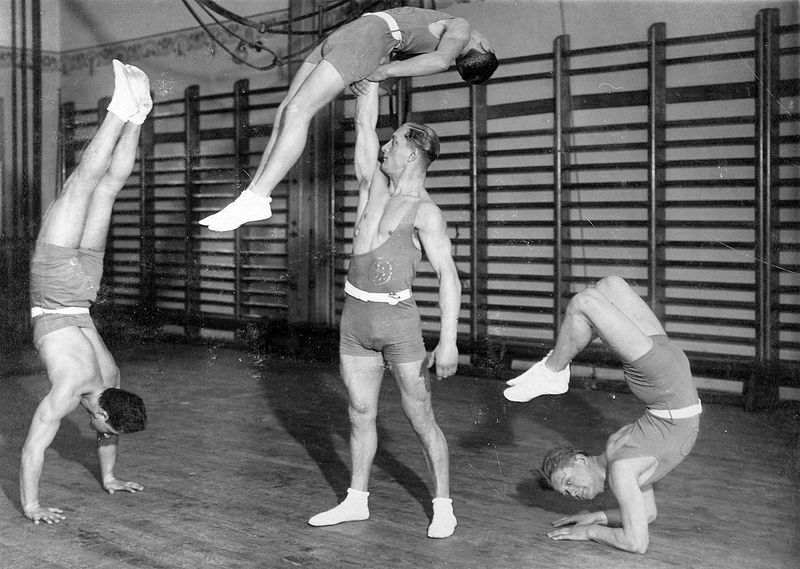 It’s time to wrap this series up with some funny photos of old-timey exercises. 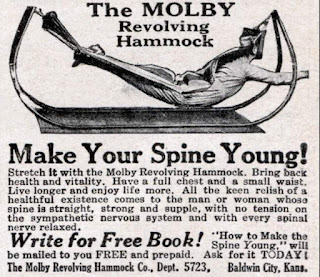 Like this torture device that is exactly the sort of thing my mother would have forced me to use if we'd lived in the 1920s. As the 20th century dawned, doctors began to suspect that daily exercise was necessary in order to prevent degenerative disease. In 1915, a doctor with the U.S. Surgeon General’s Office, Dr. F.C. Smith, reported that individuals not engaged in manual labor jobs were more vulnerable to disease. In 1918, with the close of the First World War, a report was released regarding the condition of soldiers drafted for combat. It was found that one in three drafted men had been unfit for combat due to poor fitness levels. 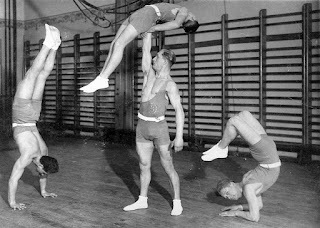 It was time for compulsory physical fitness programs in public schools. But wait! 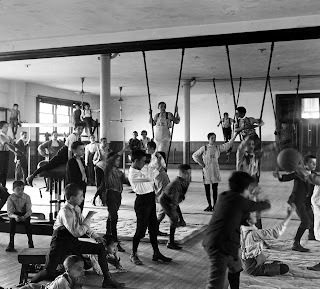 Individual state governments had already started legislating mandatory physical education programs in public schools after the Civil War, beginning with California in 1866. In the decades that followed, a handful of other states legislated physical education in public schools, including Ohio in 1892; Wisconsin in 1897; North Dakota in 1899; Pennsylvania in 1901; Michigan in 1911; and Idaho in 1913. Meanwhile, new sports were being invented: lawn tennis in 1874; softball in 1887; basketball in 1891; and volleyball in 1895. Around the nation, professional sports teams were forming, and leagues and associations dedicated to the playing of sports like bowling, baseball, lawn tennis (is lawn tennis just tennis? I think it is? Why not just call it tennis? ), and gymnastics. The Boy Scouts were founded in 1907 to promote the sharing of heteronormative physical recreation between young boys and grown men. And, when in the aftermath of the War to End All Wars, it became clear that Americans were woefully unfit, more states passed legislation requiring mandatory physical education in public schools: eight in 1915 through 1918, and 21 between 1919 and 1925. That was probably all the states there were back then, but I’m not sure because counting is not my forte. I’m a writer, you do the math. You can also do this, I guess, because I can't. 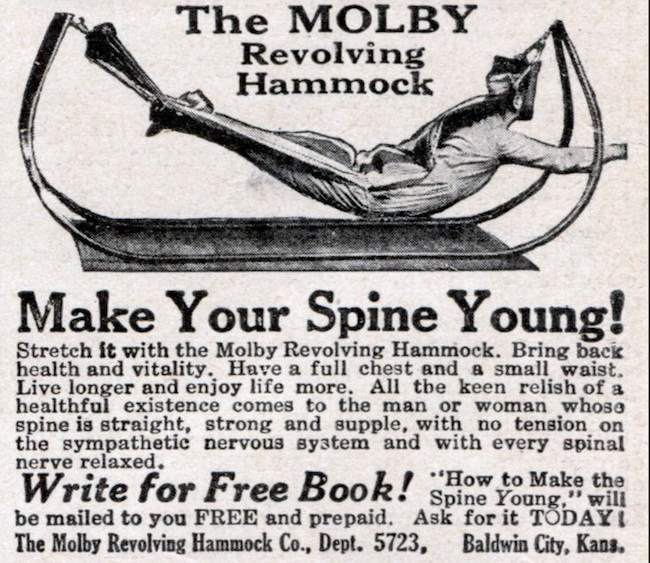 By the mid-20th century, doctors were discovering the link between exercise, fitness, and good health. Pioneers in this research included Jerry Morris, a Scottish epidemiologist whose research established the link between sedentary lifestyles and cardiovascular disease. By studying the cardiovascular health of double-decker bus drivers, conductors, postmen, clerks, and telephonists, Morris established that regular, vigorous physical activity could prevent heart disease, publishing his seminal paper on the topic in 1958. Dr. Ken H. Cooper, regarded along with Morris as the founder of the modern fitness movement, also advocated for the prevention of disease via exercise, a healthy diet, and stress management. Both men apparently practiced what they preached; Morris died in 2009 at the age of 99. Dr. Cooper is 86 years old as of the time of this writing.